Sarawak’s training today was joined by former Selangor midfielder K.Thanaraj who is now trying to impress K Rajagobal for a spot in the Sarawak Super League team. Aside from Selangor, the 29-year old midfielder had stints with Johor Darul Ta’zim, Negeri Sembilan, Sabah and Felda United. He however hardly played when he was with Selangor, clocking less than ten appearances with the Red Giants. With his Selangor contract ending this year, the 1.76 meter Seremban born midfielder is seeking to extend his career with a spot on the Crocs. 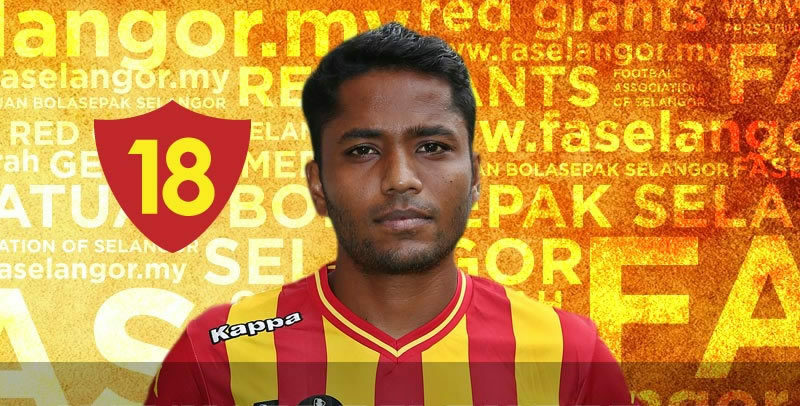 It is unknown if he would be offered a contract by Sarawak just yet, but with him aged below 30-years, Rajagobal might just be tempted especially since it is known that Rajagobal has yet to fortify Sarawak’s engine room for now. Wakil tunggal Malaysia di Piala Walikota Padang 2015 tumbang!